After five years living in North Parramatta, Ennis and I have moved to live in Melbourne. We’re no strangers to moving. Together we’ve lived in Invercargill, Katikati, Dunedin, Tokoroa and Wellington in New Zealand, and on the Gold Coast (Queensland), Canberra (ACT) and North Parramatta (NSW) in Australia. Sometimes it’s been three years, other times it’s been five or ten years. We’ve grown used to clearing out, packing and cleaning up as we’ve loaded moving trucks and hit the road. It’s still hard work, particularly when there’s any level of uncertainty involved. It takes hard work, patience and hopefulness to start again in a new place. As a young adult reflecting on a call to ordained ministry, I had a deep sense of call to mobility. Some of this came to the fore at Move Out ’81, a conference in Wellington, NZ, during which I was challenged to be available to go anywhere in the world in response to the call of God. For some of my peers, that challenge has led to living in third world countries where they serve disadvantaged communities. For me, the first step was to be ready to move away from the south where my family connections were strong. And to let go any firm expectations around career. I was not that keen. But I could not be at peace with myself and God until I became open to new horizons. That’s become the pattern of life. Putting down roots and making friends wherever we are, staying as long as we can. But also being ready to listen to the call in new places. 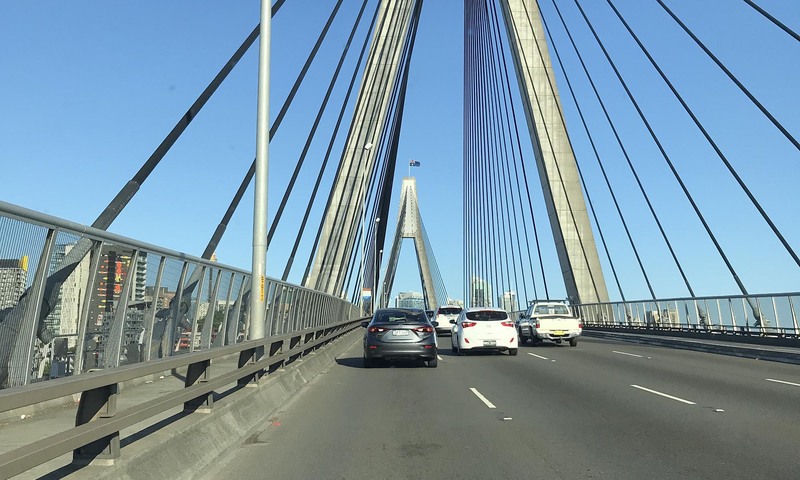 And so, when my five year term in my role with the Uniting Church in Australia, NSW/ACT Synod came to an end, it made sense to test possibilities, back in NZ, across Australia, and wherever else. 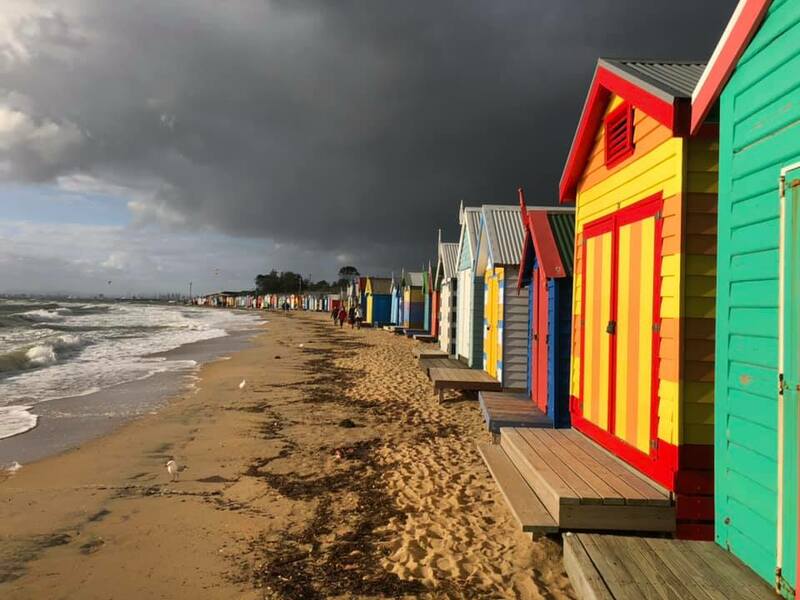 In the end, I took up the invitation to explore the role of Presbytery Minister – Team Leader, with the Port Phillip East Presbytery in Melbourne, still with the Uniting Church in Australia, but now within the Victoria/Tasmania Synod. The region I’ll be working with stretches from Melbourne South and Port Melbourne down to Mornington Peninsula, back through Berwick and Dandenong, through Glen Waverley, to suburbs like Monash and Toorak. There are 58 congregations in the Presbytery, 2 parishes (encompassing some of those congregations) and 5 cooperating congregations which share ministry. There are four schools (Wesley College, Cornish College, Haileybury College and St Leonard’s College), and a range of on-the-ground expressions of the work of Uniting. I’ll be working with two other full-time Presbytery Ministers: Craig Mitchell, (Church Development) and Anneke Oppewal (Ministry Agent Wellbeing). Other staff include the Presbytery chairperson (Andrew Boyle, supported to work half-time), an administration officer (Ian Firth), and a communication specialist (one day a week). Phil McCredden, from Ecclesia Leadership, will continue as a consultant to the Presbytery for the rest of the year. The Presbytery Minister – Team Leader role has four key aspects to it. To develop and lead a high performing Presbytery ministry team, that is passionate and committed to meeting the key needs of the Presbytery. To act as the face of the Presbytery and provide a central point (conduit) for communication and implementation of strategic goals of the presbytery and presbytery ministry team. To build confidence in the Presbytery, as a trusted partner with congregations and mission partners (agencies, schools, community), overseeing and caring for them in an active way. To help Presbytery facilitate strategic priorities for the Presbytery and bring them to life. Hospitality, forming new partnerships and listening are top of the agenda right now. It is somewhat strange to move from the constant pace of a role with a large staff and busy timetable, to a situation where a much smaller team is only now being formed. But at this point, there is more room for “on-the-balcony” reflection on adaptive challenges. And there just might be more time to catch up on reading, conversation and even blogging! Wow. It’s almost a year since I posted anything here on the Postkiwi blog. I’ve come back to start a new series on books I’m reading in relation to my work as Uniting Learning Network Director for the Uniting Church in Australia, NSW/ACT Synod. First on the list is Steve Taylor‘s Built For Change: A Practical Theology of innovation and collaboration in leadership. 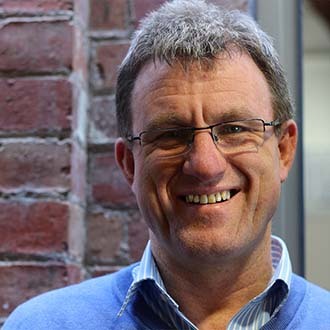 Steve recently took up the role of Principal at the Presbyterian Church of Aotearoa’s Knox Centre for Ministry and Leadership, based in Dunedin. That’s where I trained as a minister (1989-1991). Previously Steve was Principal and Director of Missiology at Uniting College of Leadership and Theology in Adelaide. 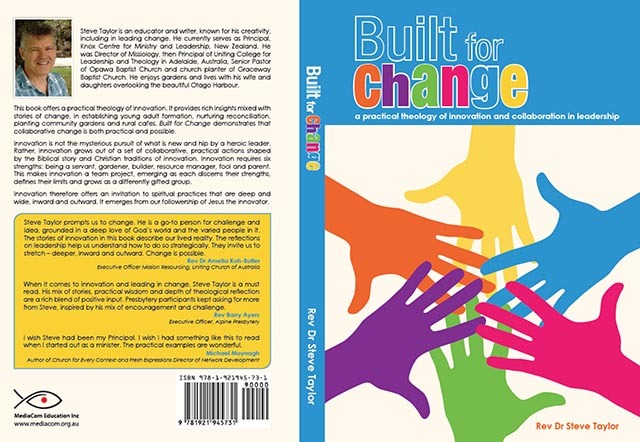 This book’s grounded in the change process he led while Principal in Adelaide, and extends to stories of innovation and change in Australia and New Zealand. 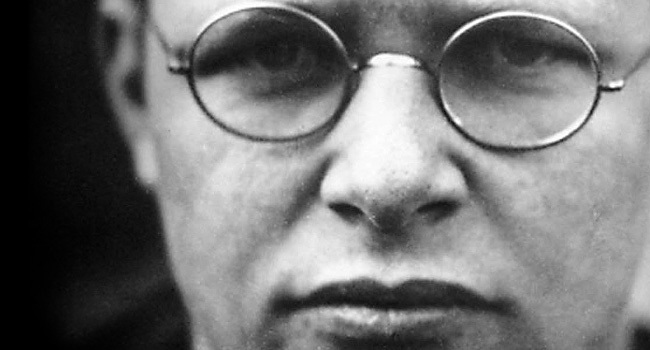 Tonight in Being The Church, the subject Chris Walker and I are teaching at United Theological College this semester, we looked at Dietrich Bonhoeffer’s reflections on disillusionment in his little book “Life Together”. Bonhoeffer must have gone through his own experiences of deep disappointment as he watched colleagues buy into the Nationalist Socialism version of positive Christianity. Here he writes about the challenges facing not only institutional bodies like the German Evangelical Church, but also locally formed communities such as the underground seminary he had formed in Finkenwalde.